If you ask the opinion of a septic tank emptying company, they will tell you categorically that septic tank bacterial additives are a total waste of money. Indeed, some can even harm the function of the septic tank and cause the soakaway to fail prematurely. bacteria. All the bacteria needed for correct function comes from the human waste that is flushed into it and provided you are careful don't use anti-bacterial products or harsh cleaning chemicals, you don't need to add more. 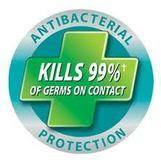 In any case, your products would also kill the bacteria that you have just PAID for. There are dozens of products that claim to restore the function of a failing septic tank, but, as far as we are aware, none has ever been proved to work scientifically. MIAMI — An Arizona woman has been convicted in South Florida of fraud charges stemming from sales of unnecessary septic tank products. Federal prosecutors said Friday a jury convicted 50-year-old Cheryl Stephenson of Phoenix on two wire fraud charges. She faces a maximum of 20 years in prison at an April 2012 sentencing. Trial testimony showed that Stephenson and others marketed a product called Septic Remedy they claimed would make septic tank pumping unnecessary. The product was marketed nationwide, often to elderly customers who sometimes bought enough to last 70 years. The group also falsely claimed that federal agencies were affiliated with or approved the septic tank product. They also had a so-called "idiot list" of people easily persuaded to keep buying the product. PALM BEACH GARDENS, Fla. -- Three Palm Beach County residents accused of selling unnecessary and unneeded septic treatment products have pleaded guilty to conspiracy to commit wire fraud. Mary Moore, 54, Joseph Nouerand, 52, and Christopher Lincoln, 46, pleaded guilty in federal court Monday. If the United States has begun prosecuting septic tank additive companies then you should consider whether your septic tank needs them or not?